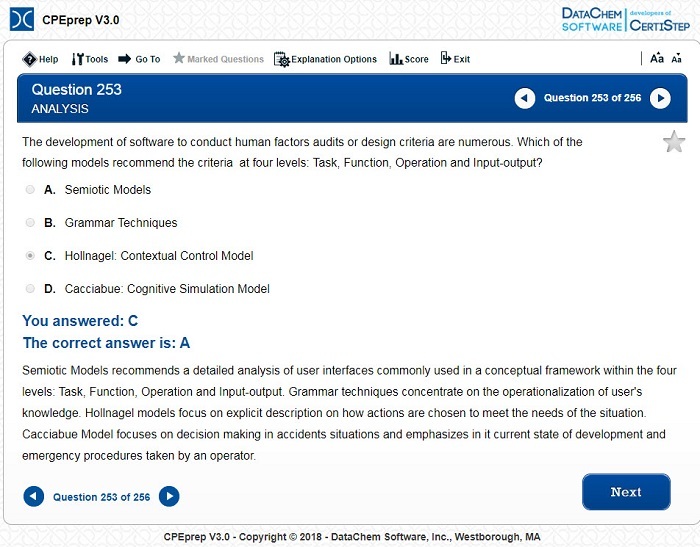 CPEprep V3.0 was authored by David Gilkey, D.C., Ph.D., CPE, CSP, REHS/RS an Associate Professor of Occupational Health, Ergonomics and Safety in the Department of Safety, Health and Industrial Hygiene in the School of Mines and Engineering at Montana Technological University. He regularly lectures on topics such as environmental and occupational health, ergonomics, chemical hazards, industrial hygiene, workplace safety and emergency response. Dr. Gilkey earned his Doctor of Chiropractic degree from Southern California University of Health Sciences and Ph.D. from Colorado State University in environmental health with focus in occupational hygiene, safety and ergonomics. He is board certified in chiropractic occupational health and orthopedics and is a Certified Professional Ergonomist (CPE), Certified Safety Professional (CSP) and Registered Environmental Health Specialist/Registered Sanitarian (REHS/RS).